Real all natural food made with only the finest quality ingredients. Halo Spot's Stew Canned Cat Food helps your pet look and feel great inside and out. Our complete and balanced diets contain no rendered meats, poultry or fish. 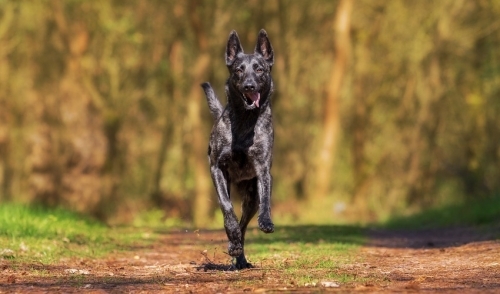 Spot's Stew formulas are grain-free and ideal for all life stages. 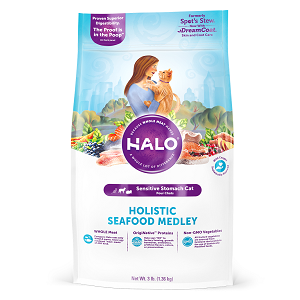 Our formulas are pure goodness from pure food and contain no artificial colors, flavors or preservatives and are free from animal and plant meals. 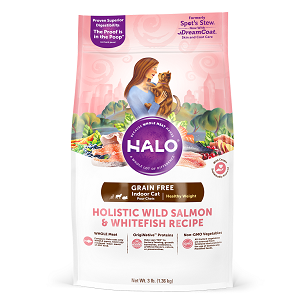 Halo Spot's Stew® Indoor Formula Salmon Recipe natural food is fortified with vitamins, minerals, prebiotics and probiotics and contains only the finest wild salmon, whole egg and a bounty of farm-raised vegetables for pure nutrition and easy digestibility. Nothing transforms a nappin' lapcat into a run-for-the-food-bowl tornado faster than the taste of turkey, and Halo Spot's Stew Wholesome Turkey Sensitive Formula Dry Cat Food is full of it! It has two simple to digest protein sources, turkey and peas so sensitive tummies don't get so upset, and contains no corn or wheat. Wholesome Turkey Sensitive Formula is perfect for cats with food-related allergies or itchy skin. 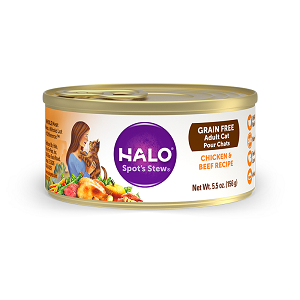 Halo Spot's Stew® Indoor Formula Chicken Recipe natural food is fortified with vitamins, minerals, prebiotics and probiotics and contains only the finest butcher-quality chicken, whole egg and a bounty of farm-raised vegetables for pure nutrition and easy digestibility. 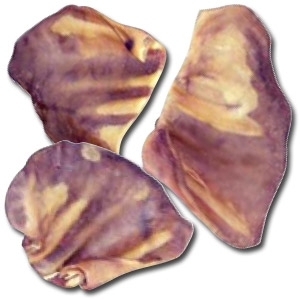 An exceptional diet that features whole meat with a twist of fresh fruits. 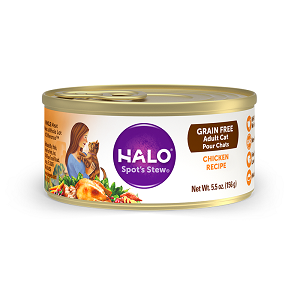 This is a mouthwatering treat for your feline with nourishment and good taste. Spot's Stew formulas are grain-free and ideal for all life stages. It also helps in balancing overall body functioning.